Sleep is the new talk of the town; gone are the days where sleep — or lack of — was used for bragging rights. 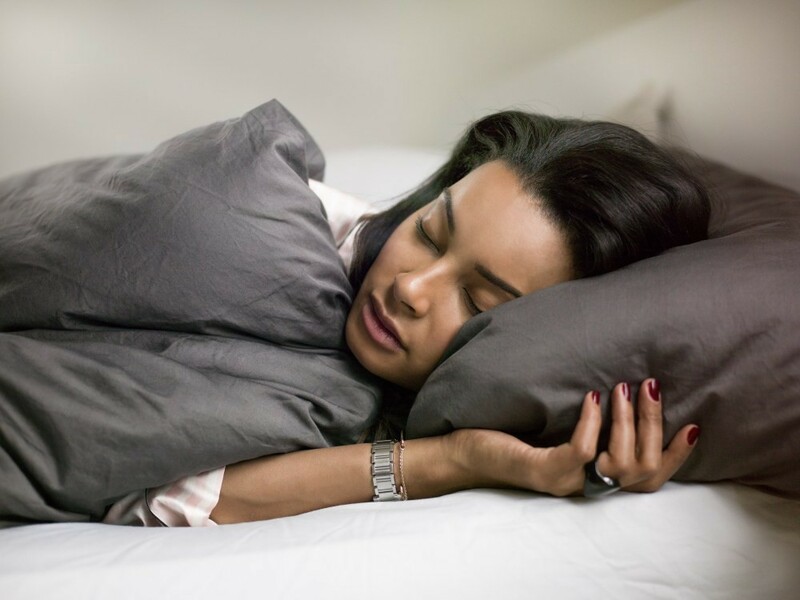 It’s now become fashionable to sleep more not less, and companies are waking up to the idea that if employees have enjoyed a good night’s sleep and are well-rested, productivity will go up. Several companies now have ‘nap stations’ in their offices where tired employees can go to refresh themselves. Uber, Ben & Jerry’s, Google, Proctor & Gamble, PwC and Cisco are just a few early adopters. Arianna Huffington has been talking about this for quite a while now. In her brilliant book Thrive, Huffington talks extensively about the need for sleep, and she knows from personal experience what a lack of sleep can do. She collapsed on her desk and woke up in a pool of blood following a period of chronic fatigue. After this shocking wake-up call, she reviewed her working practices so that she could live a more balanced lifestyle. She also pillories people for what she calls “sleep deprivation one-upmanship”, and encourages more business leaders to get more sleep. (Her TED talk of 2010 contains a very funny anecdote about how women are now sleeping their way to the top — literally — and is well worth a watch). A good night’s sleep for most adults is between 7 and 9 hours, but varies. Some people can genuinely function on less, where others need more. Older adults sometimes need less as they age, and teenagers need more sleep as they go through a huge growth spurt. It’s the regularity and consistency of the sleep that’s also important. There are 5 stages of sleep, broken down into non-rapid eye movement (NREM) sleep cycles and rapid eye movement (REM) cycles. Stages 1 to 3 stages are typically NREM, and is a light sleep moving into deep sleep. The last stages are REM sleep, where you eyes are moving, although all the other muscles in the body are paralysed by sleep. As you pass through the 5 sleep cycles, you move from light sleep into deep sleep into REM sleep, and back again. The sleep cycle starts with light sleep, which usually represents about 50% of your total sleep time, and prepares the body for the various transitions of sleep. As you fall into deep sleep (the deepest NREM phase), your blood pressure drops and you will be very relaxed and hard to waken. Deep sleep is the most restorative and rejuvenating kind of sleep, and this is when important tasks such as muscle repair and growth occur. Deep sleep usually accounts for about 15–20% of your total sleep time. The REM phase is the final stage, and is when memory consolidation, creativity and learning occurs. Your breathing will become shallow, your blood pressure increases slightly, and you will be dreaming. The REM stage accounts for about20–25% of your total sleep. Sleep latency is also important — the time it has taken you to fall asleep. Falling asleep too quickly indicates you are very tired and possibly overdoing things; taking too long to fall asleep is also a sign that your body is out of sync with its circadian rhythms (your internal body clock). A healthy circadian rhythm means you don’t struggle to get up when it’s time to rise, and you find that you’re naturally ready for bed at night. Cortisol production spikes when you wake, kick-starting your body into action, and melatonin levels rise in the evening readying you for sleep. There’s more to it than that, but that is the basics. If your circadian rhythms are out of sync, you might wake early or have problems getting to sleep. You can support these hormonal changes by getting sunlight first thing in the morning, and avoiding screens and artificial light in the evening. Artificial light contains blue wavelength light, that shuts down melatonin production, and disrupts sleep patterns. Establishing a good bedtime routine can really help you get an uninterrupted night’s sleep with plenty of deep sleep and REM sleep. Black-out blinds can help keep out intrusive light from streetlamps and passing traffic, and avoid screen time for up to 90 minutes before bed. Avoid caffeine after midday, and alcohol in the evening. Having a relaxing regime before bed — some meditate or just wind down listening to music — will also help to prepare your body for restorative sleep. Turn the Wi-Fi off and leave your phone in another room. I have read that even reading can be disruptive to sleep, although in my opinion fictional novels are ok as opposed to business books or anything that significantly taxes the mind. Napping was something I used to scorn, but now I’ve completely changed my view. I see a nap as the equivalent of plugging in my iPhone for a mid-afternoon charge so it has battery for later. A short power-nap is the same thing for me, if I need one, I’ll have one. If taking a short nap (not more than 15–20 minutes) helps rejuvenate you, then go for it. Avoid any longer than 15–20 minutes as you’ll find yourself in a deeper phase of sleep and you’ll feel groggy when you wake.